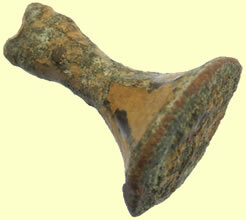 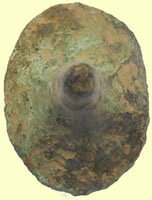 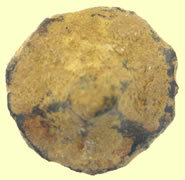 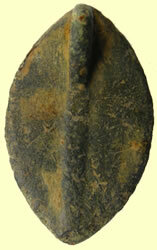 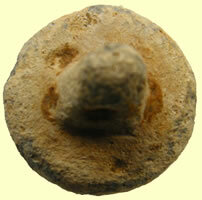 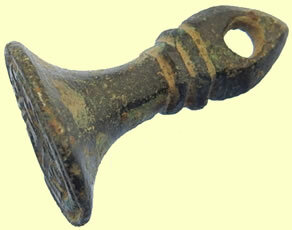 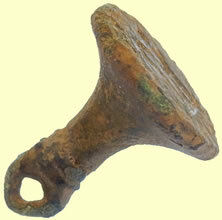 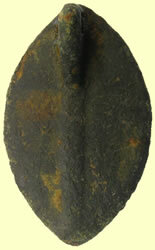 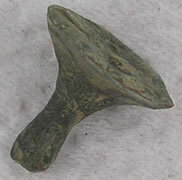 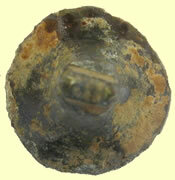 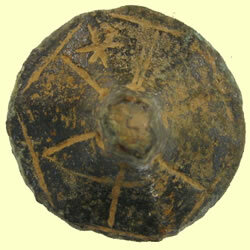 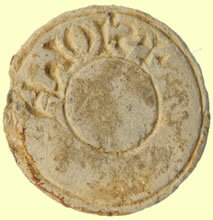 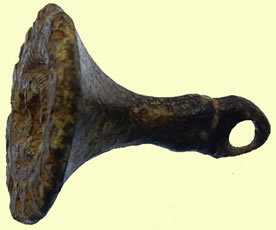 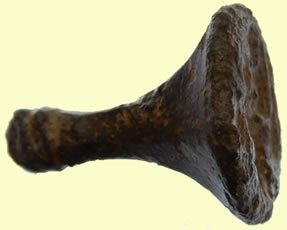 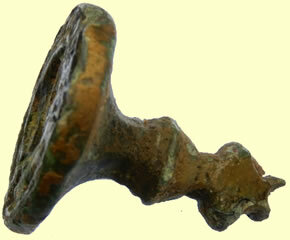 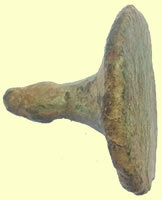 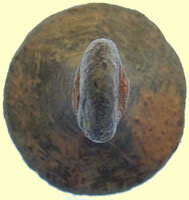 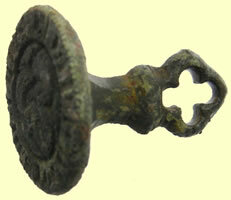 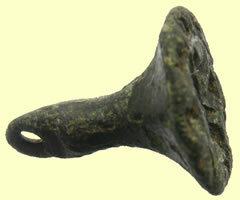 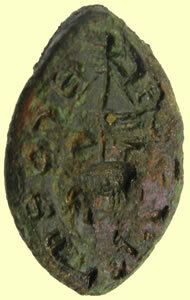 Medieval (1200-1400) cast copper alloy circular seal matrix with faceted handle on reverse. 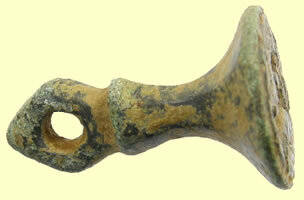 The handle has six facets and a raised moulded collar before terminating in a pentagonal suspension loop. 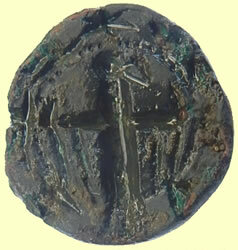 The matrix has a forward facing halo'd Christ with a cross in the halo. 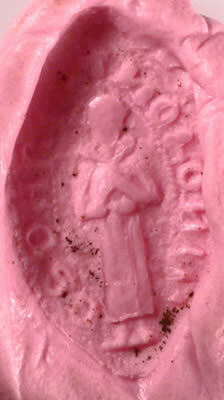 The surrounding legend possibly reads: MARTIN LE (or DE) (P)REVOST probably meaning Martin the provost of a religious house. 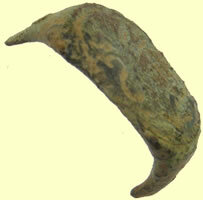 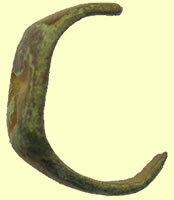 It has a dark green-brown patina. 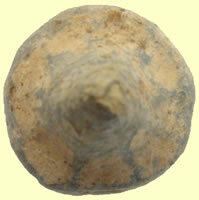 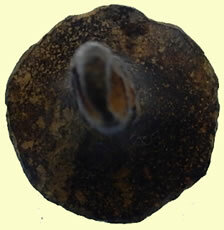 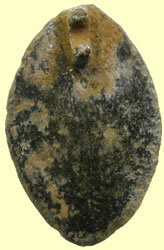 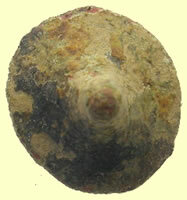 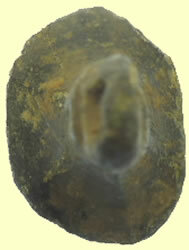 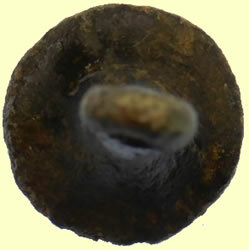 It is 23.70mm long, 18.57mm in diameter and weighs 9.93 grams. 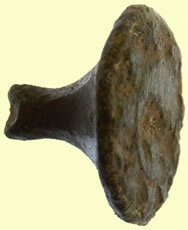 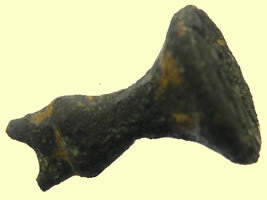 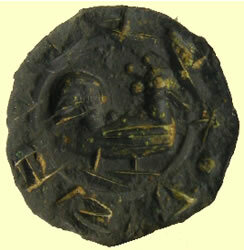 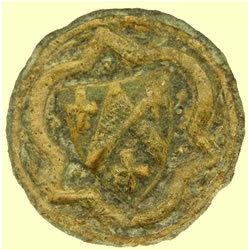 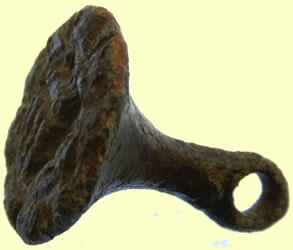 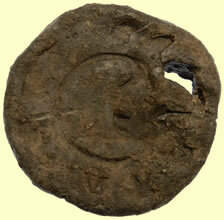 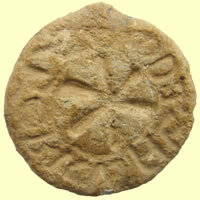 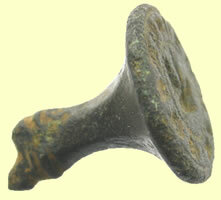 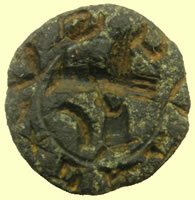 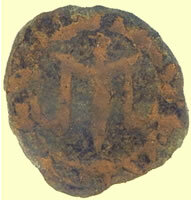 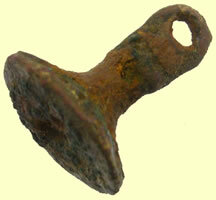 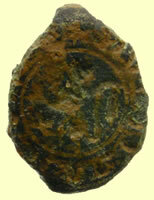 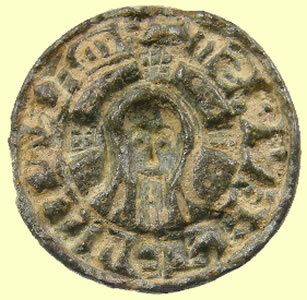 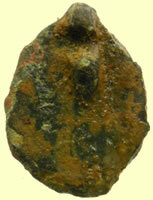 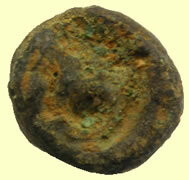 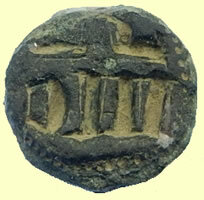 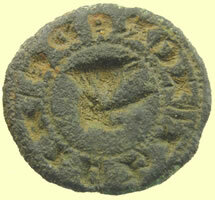 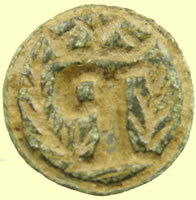 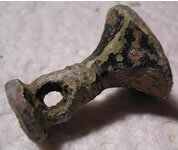 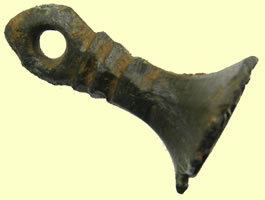 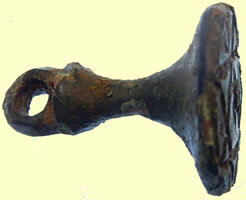 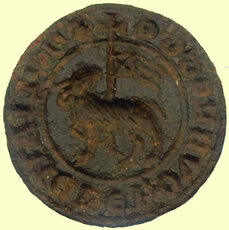 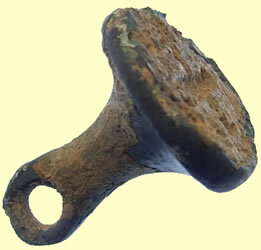 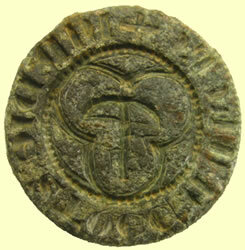 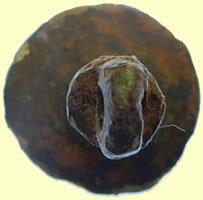 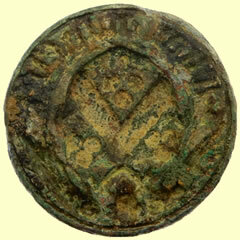 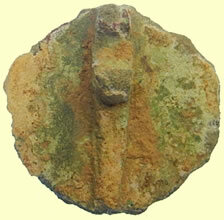 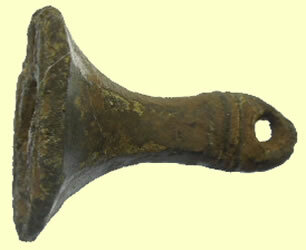 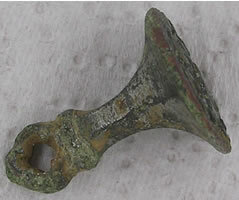 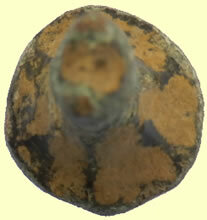 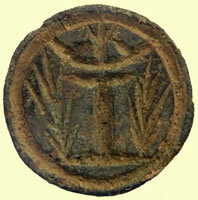 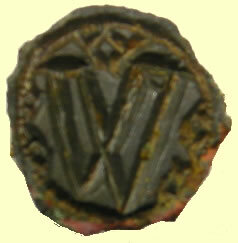 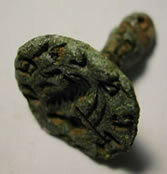 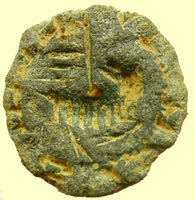 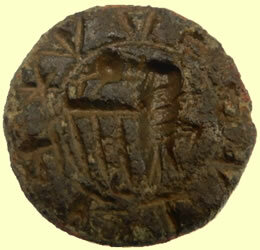 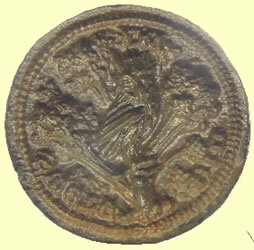 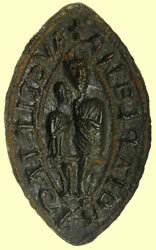 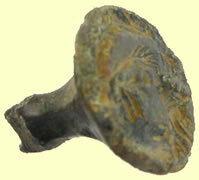 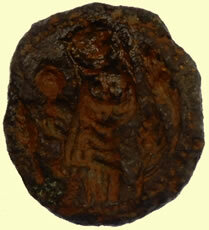 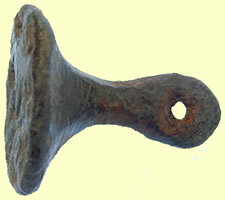 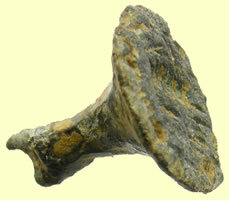 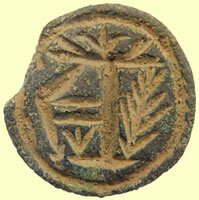 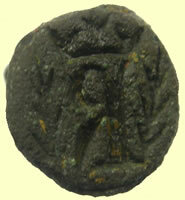 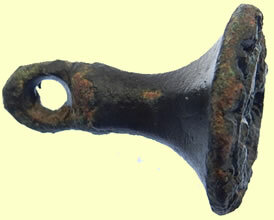 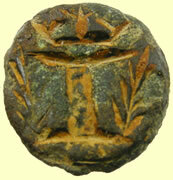 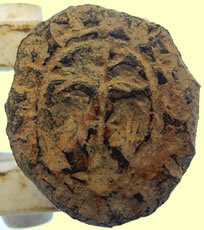 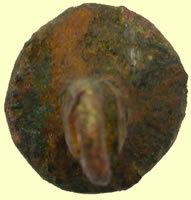 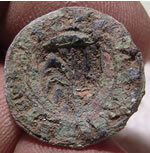 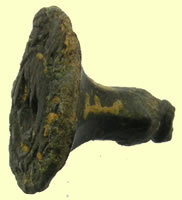 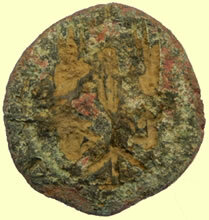 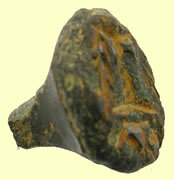 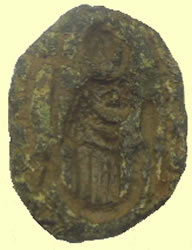 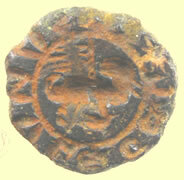 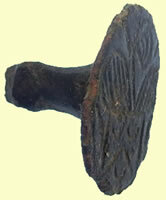 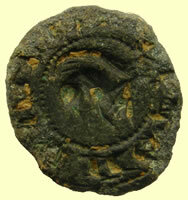 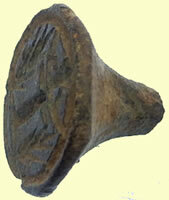 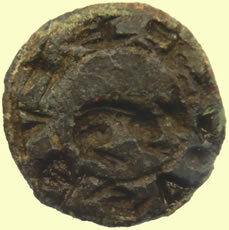 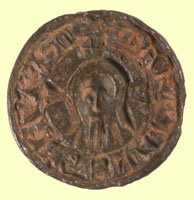 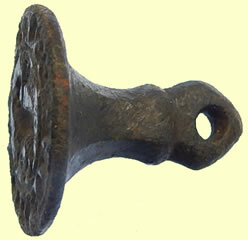 Medieval (13th to 14th Century) cast copper alloy vessical seal matrix. 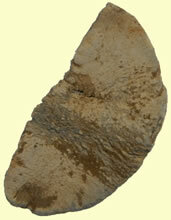 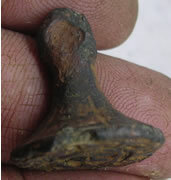 The reverse has a central ridge along its length, with an integral loop at its apex. 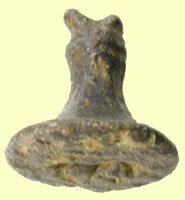 The matrix depicts a central standing figure, with hands clasped in front. 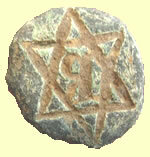 The surrounding legend reads + NO HONI MESDONRI:' The matrix has a dark green patina. 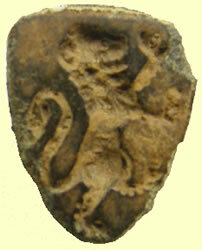 It is 31.75mm long, 18.22mm wide, 5.1mm thick and weighs 8.32 grams. 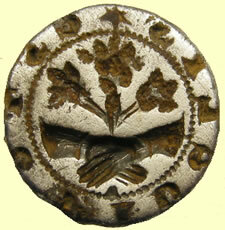 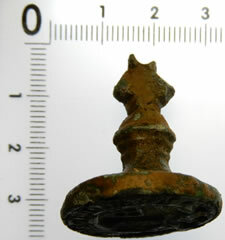 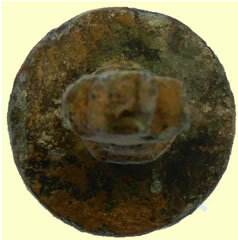 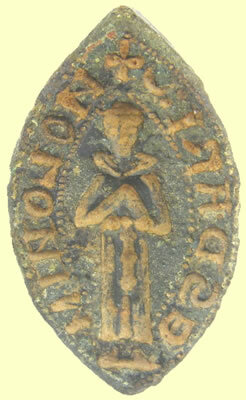 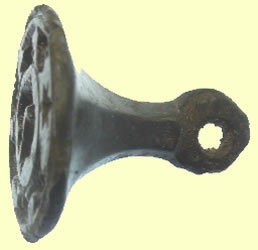 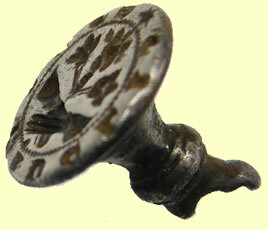 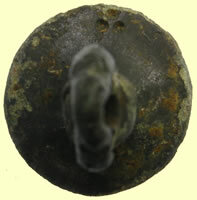 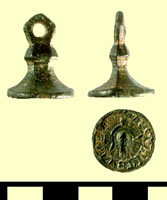 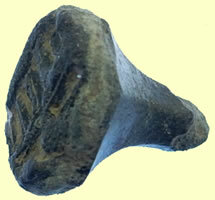 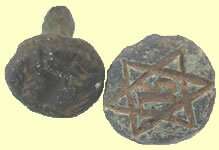 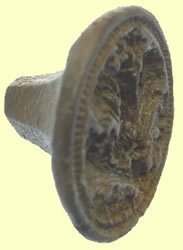 Medieval (13th century) lead alloy seal matrix. 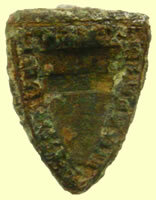 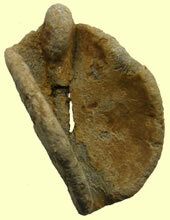 It is circular in plan, with a small triangular suspension loop on the reverse. 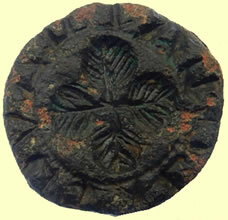 The central design is a flower with six petals. 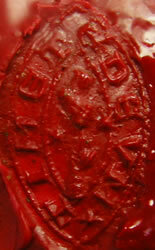 The legend is illegible. 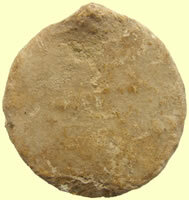 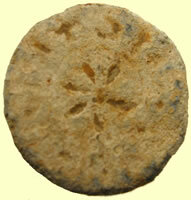 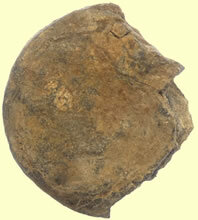 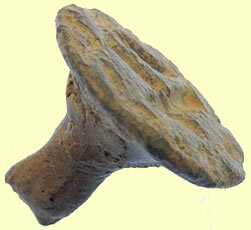 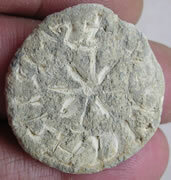 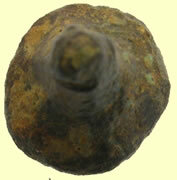 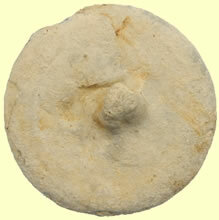 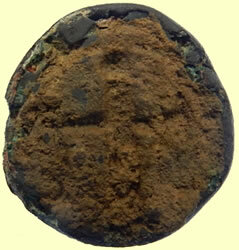 It is 27.52mm in diameter and weighs 11.26 grams. 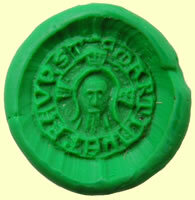 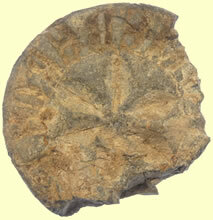 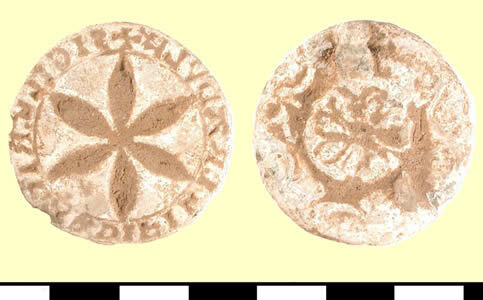 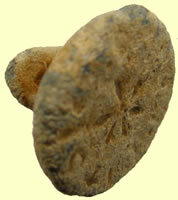 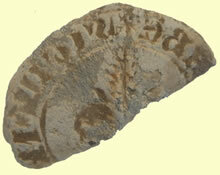 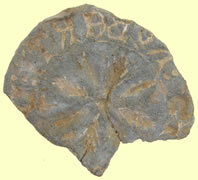 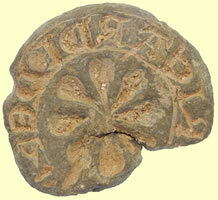 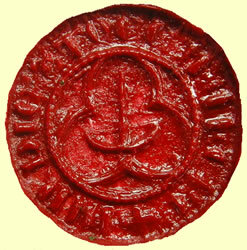 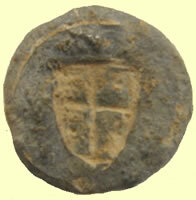 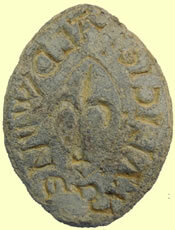 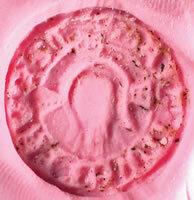 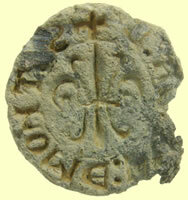 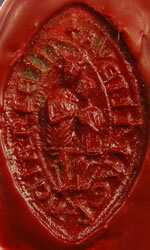 Medieval, circular, lead seal matrix. 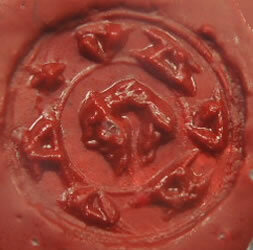 The matrix has a central 6 petalled flower design, surrounded by the legend +SIGIL.RICARDI.FILL.RAVVLI 'The seal of Richard, son of Ravvli'. 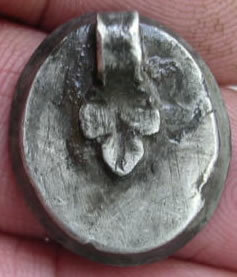 The reverse has an integrally cast suspension loop, and a central raised six petalled flower, surrounded by curved lines. 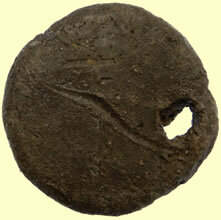 It is 32.75mm in diameter, 4.39mm thick excluding the suspesion loop and weighs 24.56g. 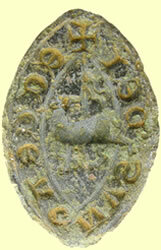 Medieval (13th century) lead alloy seal matrix. 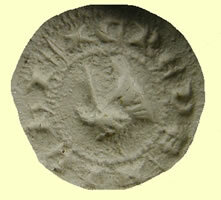 It is circular in plan. 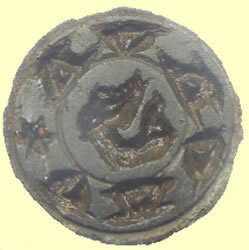 The central design is a flower with six petals. 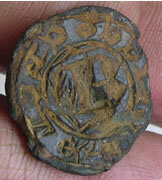 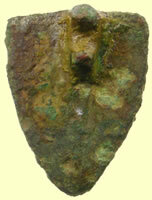 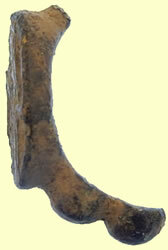 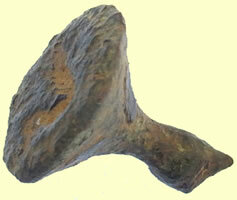 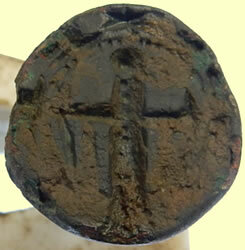 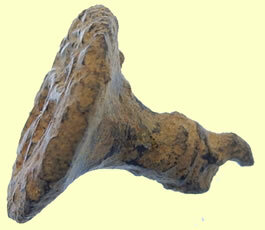 Incomplete Medieval cast copper alloy seal matrix. 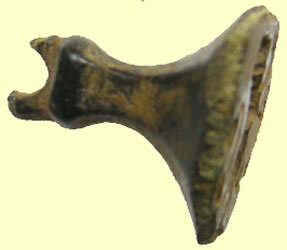 The matrix is circular with a broken faceted handle on the reverse. 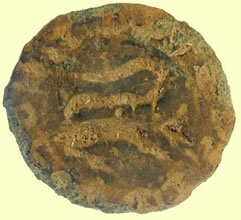 The design is of a lamb with flag. 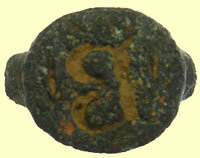 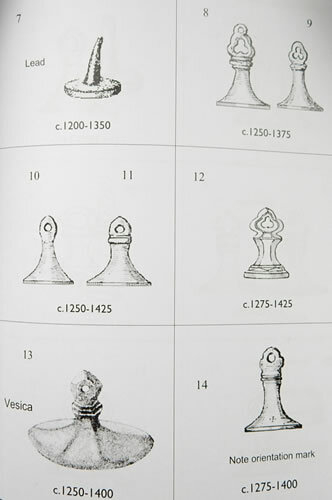 The surrounding legend reads *--SVNVLEGEL, which could be read as [....]SV NV LE GEL, or the ending could be LEGE L, as Lege (read) is often a componant of inscriptions. 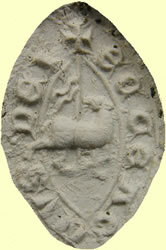 The central design of a lamb with flag is often accompanied by the inscription ECCE AGNUS DEI, although that is not the case with that example. 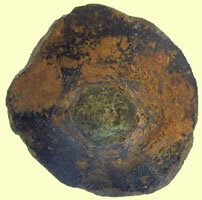 It is 17.19mm in diameter, 8.77mm thick and weighs 4.61 grams. 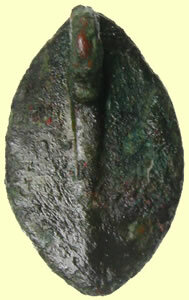 With thanks to Laura Burnett and David Williams for their interpretation of the legend. 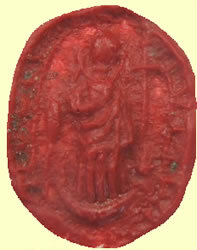 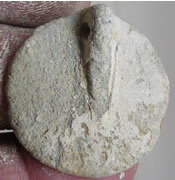 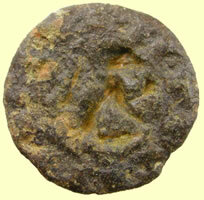 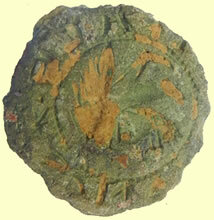 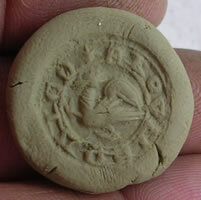 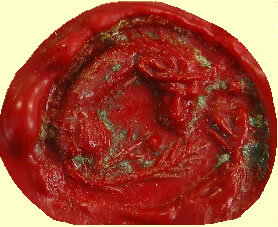 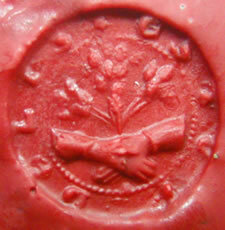 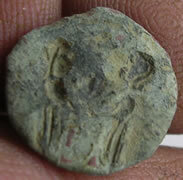 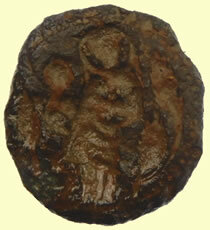 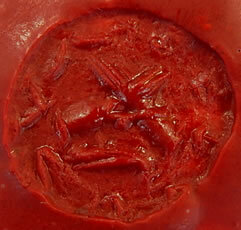 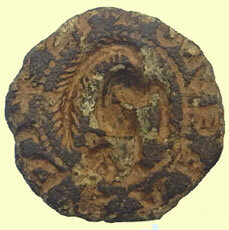 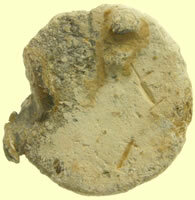 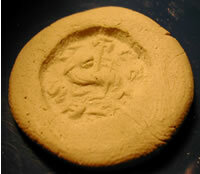 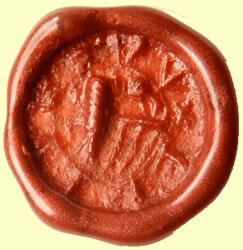 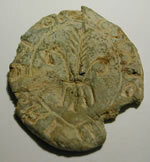 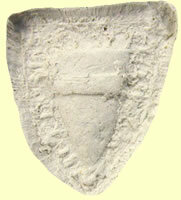 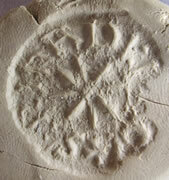 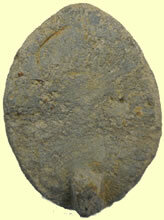 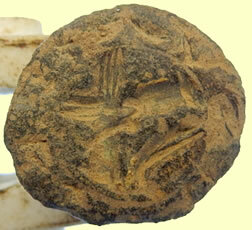 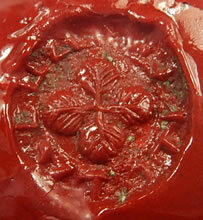 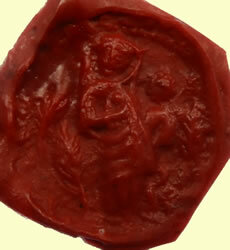 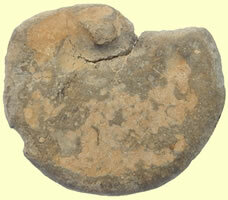 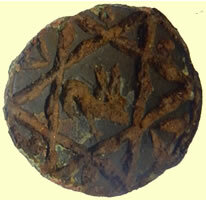 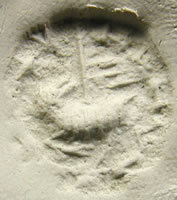 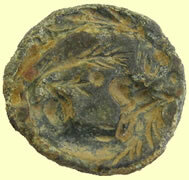 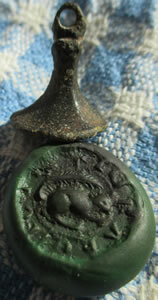 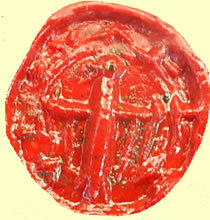 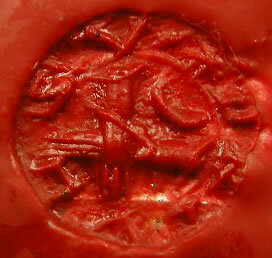 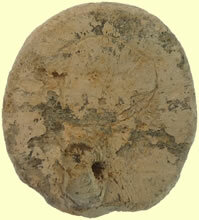 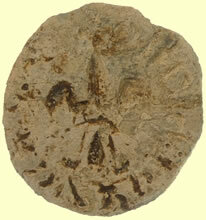 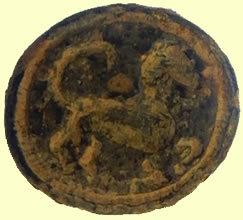 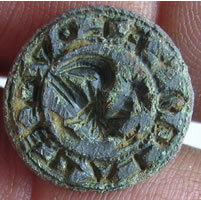 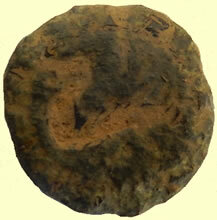 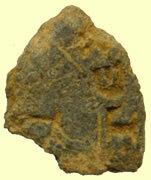 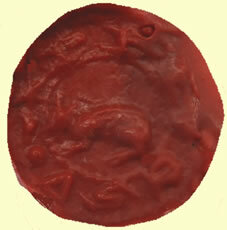 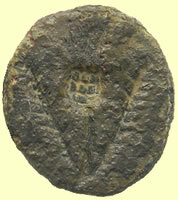 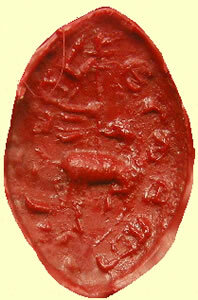 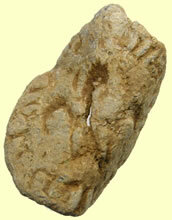 Cleaned up medieval seal matrix, the impression appears to be two birds mating ? 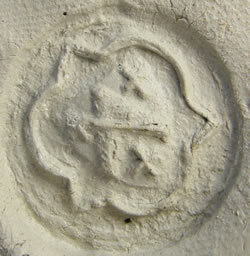 Human face on a rat's body impression? 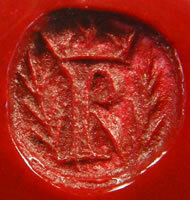 Anonymous: letter R An initial with crown above, branches at the side, was a design that became incrreasingly common in the 15thC and was often used on a signet ring. 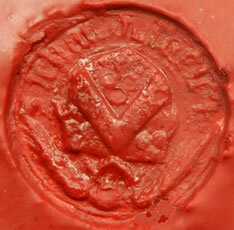 The letter suggests it stood for the owners forename. 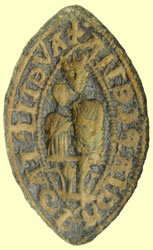 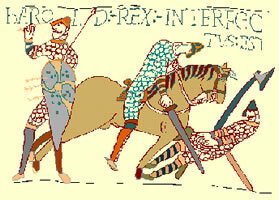 Examples were used in 1424 by Edward Saddler, clerk. 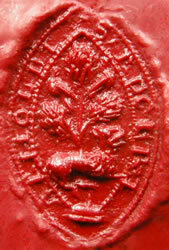 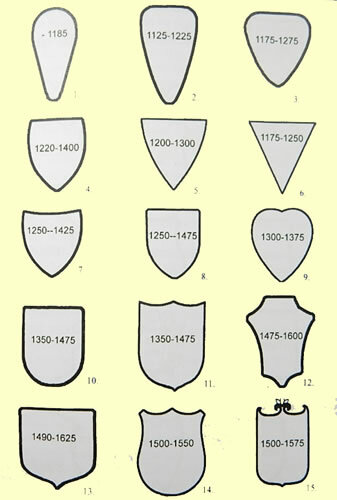 This shield-shaped matrix bears a heraldic lion rampant; does not imply that the owner used such a lion as his arms or, indeed, that he bore arms at all; many such matrices carry heraldic creatures. 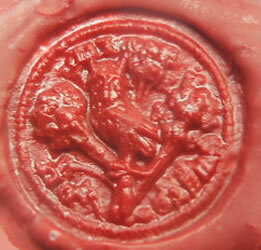 It's another PRIVE SV, Chris. 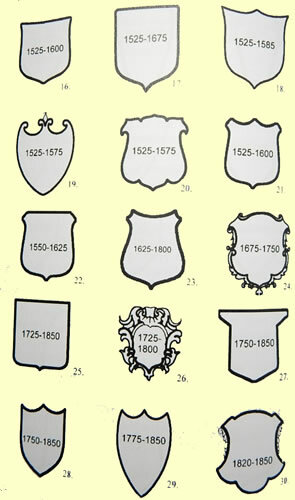 HAMP-EA9E0$ and SF-470BCD are particularly close with the upraised and spread wing. 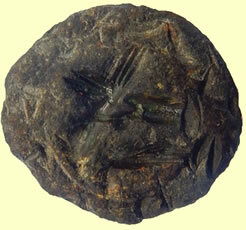 If you simple search "matrix bird PRIVE SV" you'll find parallels. 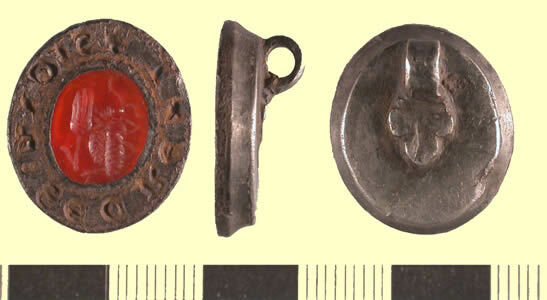 In this case I found it was much clearer simply reversing the original than looking at the impression -- sometimes it's like that!